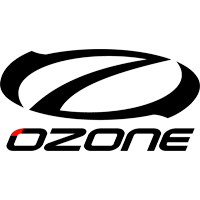 The Ozone Performance Foil Compressor Bag keeps the leading edge plastic profile battens concertinaed in the same way we pack the kites in our factory and the same way paragliders are packed. We highly recommend using it as this protects the kite and the leading edge battens from potential deformation. Made from light weight materials and designed with internal compression straps and a breathable mesh lining, the Ozone Performance Foil Compressor Bag will keep the weight and packing size to a minimum - perfect when traveling with multiple kites.